Music has played an important part in The Salvation Army ministry and life from its earliest days in England. Early Salvation Army musicians used brass instruments to attract people and speak of God’s love for them. From those early beginnings, Salvation Army music has traveled around the world. Salvation Army composers and arrangers have produced a vast repertoire of musical works which are used to accompany congregational singing during Sunday and mid-week services. The music additionally provides a very attractive concert program for brass bands and vocal groups. The Salvation Army has produced some of the most outstanding brass bands in the world, with the International Staff Band from London, England, serving as the principle Army band in the world. Outstanding American brass bands can be found functioning as the New York Staff Band, Chicago Staff Band, Southern Territorial Band, National Capital Band, Pasadena Tabernacle Band, and Tustin Ranch Band. 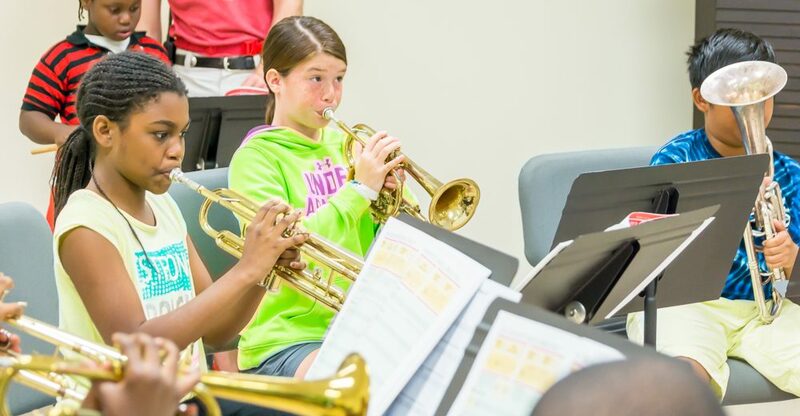 Salvation Army trained musicians have become extremely accomplished and include such famous American composers as William Himes, James Curnow, and Stephen Bulla. Bulla served as the principle arranger for the “President’s Own” United States Marine Corps Band in Washington, D.C for over 30 years.